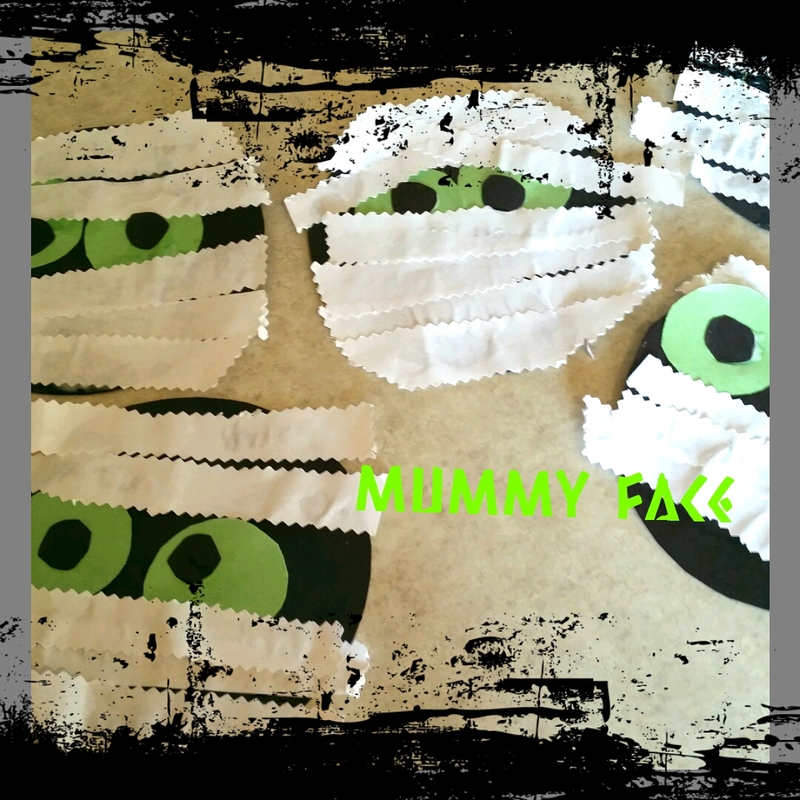 This mummy was quick and easy. Kids had a blast gluing away. We cut black circles for the faces. Then smaller green, and even smaller ones for the inside of the eyes. Then we took white paper and let the kids cut it with craft scissors. You can rip it if you don’t have any craft scissors around your house. Next you can give them glue and let them go crazy. I put glue on a plate and paint brushes. Saves me glue and a mess.